A house. On a hill. With a view. 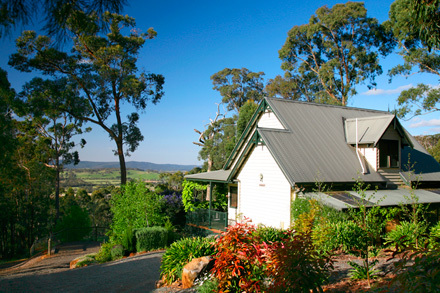 With incredible views to Hanging Rock, SkyHouse Mount Macedon is what everyone imagines the perfect country house to be: two storeys of self-contained indulgence for up to six people. 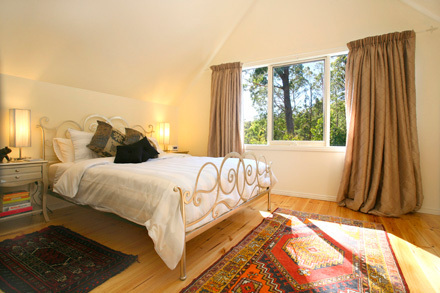 SkyHouse is only 50 minutes from Melbourne, yet secluded in a tranquil bushland setting. 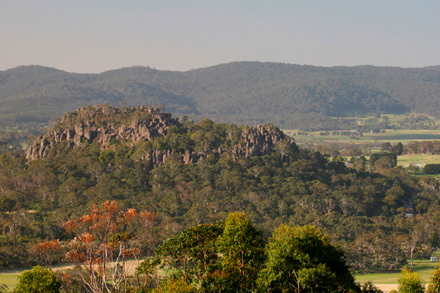 Close by is Woodend (which features fabulous cafes, restaurants, shops and two great pubs), the village of Mount Macedon and the mystical Hanging Rock. 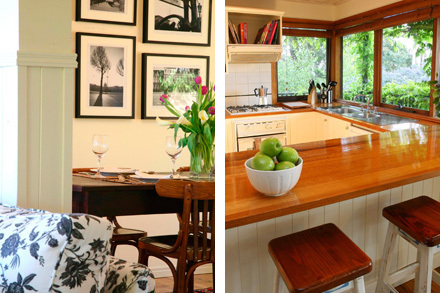 15 minutes away is Kyneton with its two one-hat restaurants. 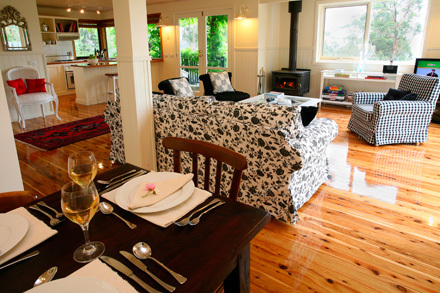 There are numerous cellar doors within an easy drive and lots of lovely bushwalks from SkyHouse itself.